The best part of starting an Internet business is you don't have to invest a lot. In fact with this video series plan, you'll learn how to spend less than $9 to $10 and a few hours to create your money making blog. Now...You may have heard of people developing blogs and making great money, but you may not know where to start. Or you already know a thing or two about a blog, but you find it too time consuming. This system will allow you to make a regular flow of passive income and you will spend less than $10 as I mentioned earlier. Best of all, repeat this system over and over again and you'll have hundreds of blogs making passive money for you on autopilot. Traffic can be a big issue. A lot of people sell you a plan on how to make money, but they leave you in the dark on how to market your blog. With this video series, you aren't left in the dark. The three videos at the end will keep you in the loop on the many ways to driving traffic to your blogs. 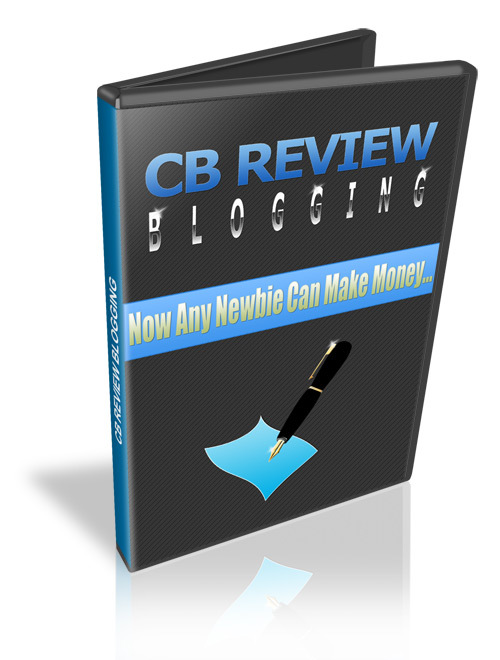 With that said this video series will take you by the hand step by step through the process of monetizing your CB Review blog and give you all the information you need to start profiting from your blog from start to traffic. In this part of the video series, you'll learn what you need to get started, including tools or even what to expect. Once you understand this and the quick overview you will be given, you'll know what to expect. Finding profitable products to promote from https://www.tradebit.com is one of the most important steps in this video series, but it is not hard at all. In fact, you'll learn how to use Clickbank's stats to pinpoint a good converting product. Yet at the same time, you'll learn a few tips that will allow you to use your own judgment on whether the product will truly convert well or not. If you haven't setup your first website, then purchasing a domain name is the first step. But no worries, we aren't going to be learning about HTML in this video. You'll learn how to use tools to find creative yet available domain names that you can use to save you time. After you purchase your domain name, you'll learn how to use it to redirect to your Clickbank affiliate link. In this video, you will learn two things: How to setup a blogger blog and how to write a review about the Clickbank products you have chosen. When you write your review you will learn two different ways you can write your review. By knowing this, you can pick and choose what is best for you. Writing press releases are different from writing a basic article, but that doesn't mean that you can't do well with them. In this video you'll be given resources that will allow you to write better press releases and we'll use examples of press releases to show you easy it is. After we go over the writing part, you'll learn about different press release sites that you'll want to start submitting too, whether they cost money or they are free. In this video, you will learn about article directories, what's available and how to use a simple concept when submitting to article directories to gain tons of backlinks. Squidoo lenses are a great way to drive traffic to your sites, so we'll go into that as well. There are three other traffic sources that you'll learn about here that can boost your traffic even further. So...with that said, don't dream. Grab this now and push your business to the next level of success.